About Infiniti Mall Infiniti Mall is a chain of shopping malls in India and is a premiere destination for shopping, entertainment and food. It is a subsidiary of K Raheja Realty Group, which has been in the business of construction and property development since 1956. The company has always enjoyed a great amount of trust and loyalty from its patrons over 5 decades. The group has successfully ventured into the areas of Housing & Real Estate, Hospitality, Finance and Retailing, to name a few. Amongst all its activities, the Group has never left the society out of focus, to which it belongs. It has shouldered the responsibility to provide education and improve health standards of members of the society through Educational Institutes and Hospitals. The first Infiniti Mall opened in 2004, in Andheri (Mumbai) followed by the second property in Malad (Mumbai) in May 2011. Infiniti Mall (Andheri) is located at Oshiwara Link Road in Andheri (West) with 65 stores, a six-screen multiplex (PVR Icon), food court, family entertainment center and restaurants besides shopping. 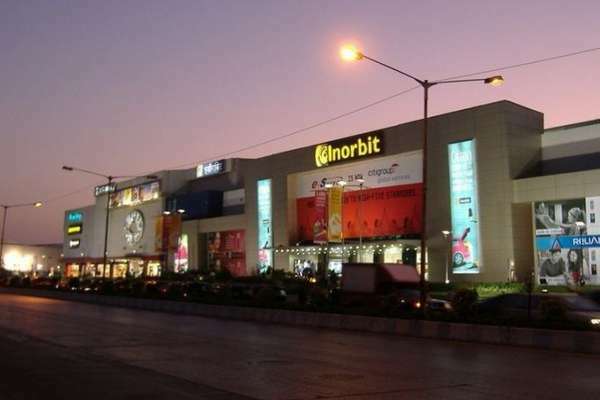 Infiniti Mall (Malad) is located on New Link Road in Malad (West) and is one of the biggest malls in Mumbai. It houses more than 200 shopping brands, multiplex, 36 food outlets and an FEC under the name Fun city. Rides like Astro Express, the only indoor 360? roller coaster in the country, Techno Pop, Play Maze, Drop Tower etc. are some of the other Italian designed rides and Arcade games. Since its inception, the mall has won several prestigious awards like Images Most Admired Shopping Centre Of The Year 2018: CSR INITIATIVES, IMAGES Fashion Success Story Of The Year Mall + Retailer Collaboration 2018, IMAGES? ?Most Admired Shopping Centre Launch of the year: West 2017?, CMO Asia?s 6th BRAND SLAM Award for Marketing Excellence 2017, CMO Asia?s Most Admired Shopping Centre of the Year ? Marketing & Consumer Promotions 2017, ET Retail?s ?Retail Destination of the Year?, IMAGES? ?Most Admired Shopping Centre Launch of the year: West 2016?, CMO Asia?s Most Admired Shopping Centre of the Year 2016, Global Property Awards ? Best Emerging Project of the Year 2016, Accommodation Times? ?Mall of the Year? award for excellence in Real Estate ? 2011, ET NOW?s ?Retailer of the Year ? Real Estate? in 2012, CNBC Awaaz?s award for ?The Best Retail Mall in Mumbai Metropolitan Region of the Year 2012?, amongst others.